Disney World… the most magical place on Earth that has something for everyone regardless of age, background, and interests. It has a way of reaching every person who walks through its enchanting front gates. You don’t even have to be a Disney fanatic to find your own form of fun and excitement at the world’s most famous theme park. We know that every student has different intentions, goals, & visions with their dancing... and you know what? That’s amazing! You don’t have to be a competitive dancer to have fun at an Arthur Murray Showcase or Dance-o-Rama. You just need to have the desire to become a better version of yourself. Showcase is one of the best ways to unlock your full potential, & reclaim your childlike sense of wonder and amazement, especially at this year’s “Wild West” themed Showcase. Like Disney World, showcase has something for everyone! What kind of thrill rides will you enjoy at showcase? Getting that rush of adrenaline from roller coasters can happen on the dance floor! Whether you do a solo routine, freestyle entries, or partake in a formation performance, the thrill of hitting that first roller coaster hill happens when the music starts. Enjoy every twist, turn, drop, & dip along the way! You know you’ll want to get in line again. Will you be an old prospector, a bandit, or a saloon girl for showcase? Dance allows you to bring to life any character you desire. Just like at Disney World, you get to put on the costume and embody that personality once you step onto the dance floor. Maybe you want to be strong and invincible like Buzz Lightyear, be the cool and effortless dancing duo like Timon & Pumbaa, have your Cinderella spotlight dance, or be commanding like Cruella de Ville. Create a storybook of characters for all the dances you do. 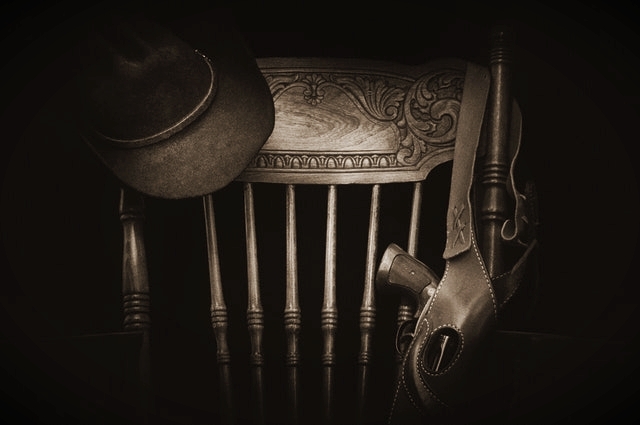 Will you see a shoot out, a bar fight, saloon girls perform, or witness a kidnapping? If you go to Disney World you’ll find yourself going to at least one great production. Showcase is an all day spectacle of shows put on by your teachers, professional dancers, & the students, complete with engaging music, decorations, costumes, and food. It’s always an amazing and entertaining display of dancing, acting, and imagination. So, pull up a chair and enjoy the show! The Old West was full of hope, a place where dreams could be realized. What will come true for you at showcase? When you walk down Disney World’s Main Street, you feel the whole theme park buzzing with excitement, magic, joy, and anticipation. Those same feelings happen when you enter the ballroom for showcase. Every person is buzzing with enthusiasm for the day to start, astonishment at their successes, and even jitters as they wait to dance. When you are in such a positive and magical environment where everyone is there to have a fantastic time & better themselves through dancing, there is no way you won’t get better, too! We want to challenge all of you to expose yourself to the world of dancing through SHOWCASE! It can give you a fresh perspective on your dancing, create new friendships, be a special date night, and even push your dancing to a more comfortable level of enjoyment. You get to be whoever you want on the dance floor… It’s your mini-Disney World… a chance to let the magic of music and dance fill your life. For 2018’s Showcase, let us take you to the Old West for a wild night of cowboys, bandits, lassos, and (faux) gun fights. Enjoy the themed food and music, the professional shows, lots of general dancing, & live evening entertainment. Showcase is for both social & competitive dancers where you get a chance to spice up your weekend at a local venue. So dust off your cowboy hat, throw on your spurs and dance with us at our Wild West Showcase! Older PostIT'S FESTIVAL SEASON IN FORT WAYNE!